The body is the vehicle that has been modified for the mind and soul to interact on behalf of the spirit in its journey to enlightenment. In previous articles, we have discussed the first three aspects of the Four Quadrants of Life. Now we discuss the final and fourth aspect The Physical Body. In order for Spirit, to learn and master all that is required to become one with the Godhead, a series of sequences must occur along the way. These sequences allow the spirit to remain at a higher vibratory level whilst enabling itself to be connected with the other three aspects of life transversing downwards to the various realms of existence. This is done by the Soul (a fragment of Spirit) which becomes the link between the spiritual and physical. In turn, the mind (a fragment of the Soul) connects with the physical to which we know as the physical body. 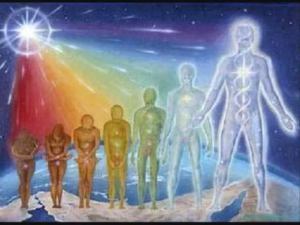 This is where once the final connection takes place, the beginning of the evolution of Spirit towards oneness with ALL THAT IS begins. I mention above that the body is the vehicle that has been modified. The reason for this is without the connection of spirit, soul, and mind; the body would really be unable to exist. Nothing would work at an intellectual level, as it would not be able to properly send or receive any messages to keep the human body functioning. In fact, the physical level would be at a standstill as it is the spirit that gives life and via its connection of the soul and mind helps to create the energy life force that enables the body to function. Without this connection, the physical body would not function. 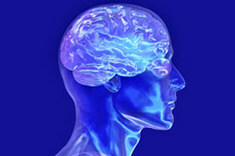 Yes, the human body does have a brain, which serves an amazing function. There is an endless supply of interconnecting neurons that receives and sends all necessary messages for the body to respond in the way we know it. The brain has been found to be able to create new connections or networks that weren’t there before. However, for this to occur there needs to be some form of input given to the brain to let it know when and how to create such amazing networks that help control and hopefully master the bodily functions. As we learn, experience and understand new events in life the brain will create a new network based on the knowledge just experienced regardless if this experience is positive, negative or neutral. This is where the mind and soul start to work with the brain and the physical body. Each experience, each thought, each idea, each action and reaction that occurs is recorded not by the brain but by the soul. As each action is sent and received, the soul is able to record all actions that have occurred. This also includes any positive, neutral and even negative actions that the mind has chosen due to the nature of free will. This is where the progress of the spirit is made through the actions of the mind whilst within the lower denser energies of the physical realm. Not all actions are negative and or neutral, remember the mind is always learning and at times may follow the soul in its actions or may decide not to play at all or go away from its true pathway. Gradually, the mind will decide on the right action. Do all these actions take place in the current life form or will there be more incarnations to take until the mind has aligned correctly with the soul and spirit? During the current life experience, many changes can also affect the physical body not only at a physical level but also mental, emotional and spiritual level as well. All this can stem directly or indirectly as a result of the chosen actions that the mind had made. Some actions not always for the benefit of the body. As the saying goes; “You only have one body”, which in part is true. That is you only have one physical body in this current lifetime. 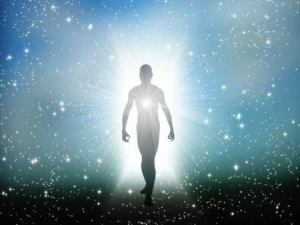 Yet your spirit, soul, and mind will have numerous bodies as it incarnates along its progression forward. It is here that the evolutionary progress will occur. For as the spirit moves forward so too will the mind and soul along with the connection with each other as well. When this starts to happen you will find a greater awareness not only of your physical body but importantly of yourself. Here you will begin to see less internal conflicts not only with yourself but also with others. When all four aspects are able to re-align with each other, then there will be no further need for the spirit to incarnate into the lower physical realm. As such, the final balance of all Four Quadrants of life The Spirit, Soul, Mind, and Body has been achieved. Now in the meantime, while the spirit is learning all that is necessary. The actions that have been taken by the mind while with the physical body, will determine the number of incarnations that will be required in order to finally reach that oneness with the creator. One important aspect that will help the progression, will be to take further care of this one physical body you currently possess (no pun intended). You see it is one thing for the spirit, soul, and mind to learn what is required to advance forward. It is also another part to learn to take care of what you have now. However, there is a need to control the mind to realise that to go forward in life you need to take care of what you have now. You as a spirit are given the opportunity by the creator to experience all there is in order to become at one. Yet for many, the body finds itself in a state of neglect, abuse, in need of repair and even disorder both physically, mentally and emotionally. These situations can only slow or at times impede the spiritual progression you are destined for, as a result, can create much confusion and frustration. Yet all this can be unnecessary if one learns to go within and seek what is already known and take the necessary actions in order to go forward. One aspect that we need to remember is that the mind is not an external force that is within the body and around. You are the mind as you are the one who can think, react and take actions on the issue at hand. When we realise that we are not human beings having a spiritual experience, but that we are the spiritual beings that are really having a human experience. As you realise more on the understanding of the above quote and start to apply this. Through the positive actions that you take will ultimately help yourself to realign via the body and mind and be back in re-alignment with the soul and spirit. Once done then you will have that balance of the body, mind, soul and spirit. There will be a series of future articles regarding many aspects that will deal with maintaining, caring not only the physical body but also the mind, soul, and spirit. This will cover the four states of the physical, emotional, mental and spiritual aspects that can help you to go forwards. How are you progressing with connecting your body with your spiritual self? I would love to hear about your progression please don’t hesitate to drop a comment or two along the way. Thanking you for your precious time you spent here. May your soul find the peace and love you truly deserve for you are worthy of ALL THAT IS. 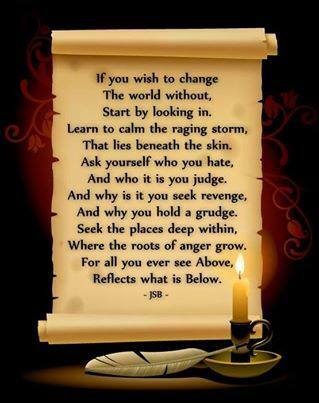 Sending energies of light and love.